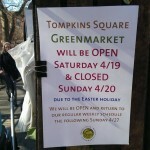 Due to to Easter Sunday tomorrow, the Tompkins Sq. Greenmarket will be held today during regular hours (9am-6pm). They will move back to Sunday next week on the 27th. Be sure to check out the two newest vendors: B&Y Farms and Bread Alone. 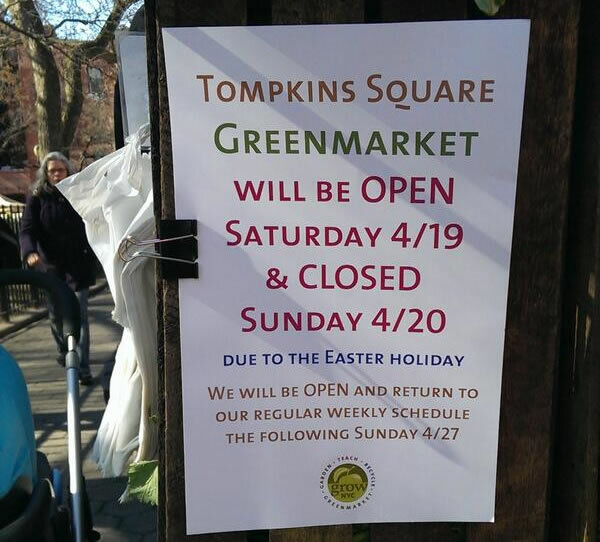 Tompkins Square Greenmarket: Avenue A at 7th Street.